After my difficult time with the last beanie I knitted I thought I should remind myself that I could knit a beanie without a great deal of trouble. I went back to a pattern that I had knitted a couple of times before and used up some wool that I had in my stash. This is the end result and was knitted while I watched the cricket. The pattern is a free one and you can find it here. It is a lovely warm beanie as it is double thickness over the ears. 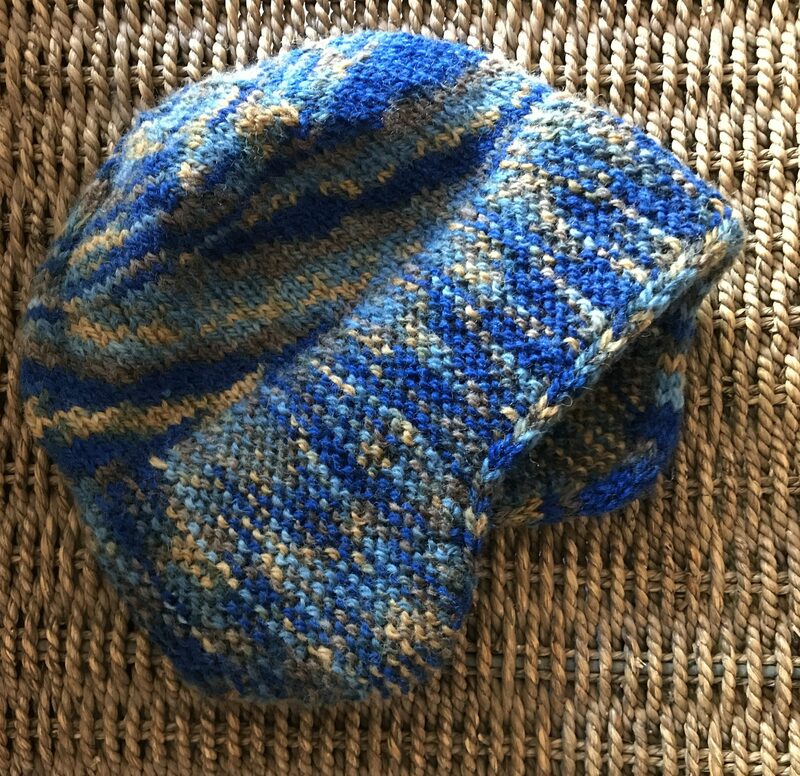 This entry was posted in Gippsland, knitting, knitting patterns and tagged beanies, free knitting patternn, knitting, knitting patterns by suth2. Bookmark the permalink. Looks lovely and cosy around the ears. I love anything blue 🙂 Great pattern. Thanks for sharing the link. I have made a few of this particular pattern. This one is for when we visit Scotland in August. I know it is summer but we are going to the Hebrides and Shetland so I want to be prepared. Thank you. It is a lovely warm one.